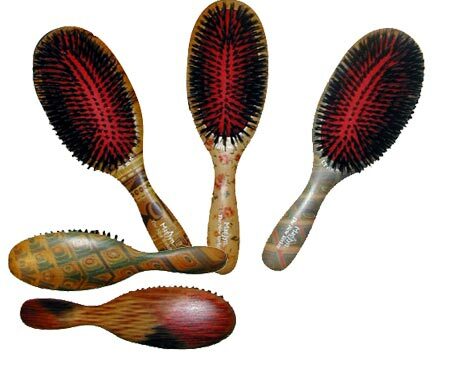 The hourglass shape of Marilyn brushes, achieves full contact of the brush bristles with the hair and the scalp. 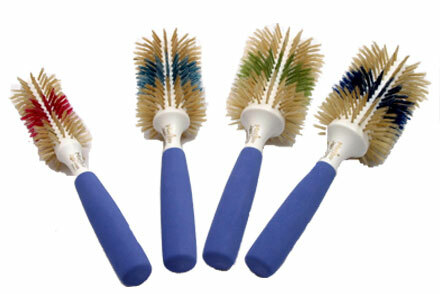 This contact gives a much wider brushing area than the one obtained with regular brushes. Less time for blow-drying. Less heat on your hair. 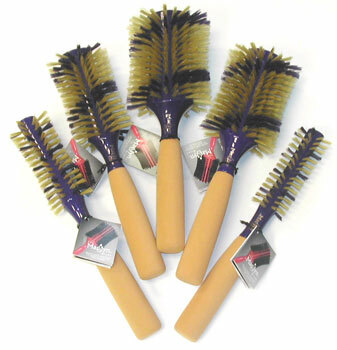 Try the Marilyn brush and you will feel the difference! The angle in the hourglass shape of Marilyn brushes prevents hair from sliding out of the brush bristles during styling. 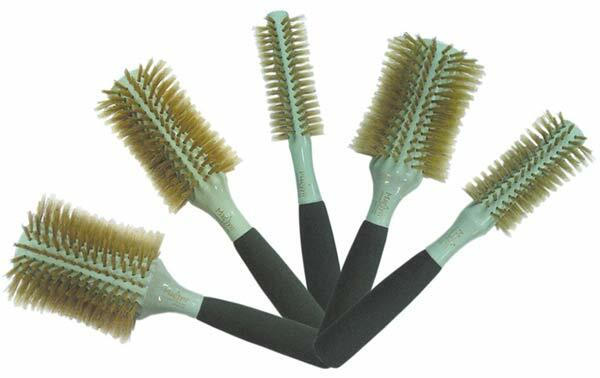 With the Marilyn brush a greater number of bristles reach the hair roots, stretching and pulling them up and forward to be exposed to the heat of the blow-dryer. The final hairdo is then full bodied.